Jump to video Another poisoning? 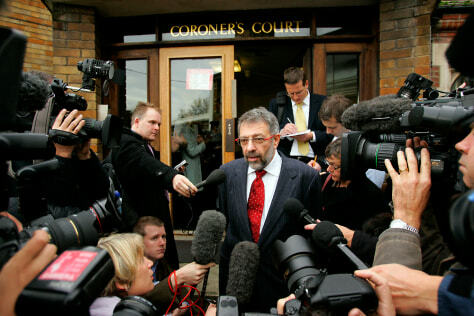 Alex Goldfarb, a friend of the late former Russian spy Alexander Litvinenko, speaks to the media Thursday outside St. Pancras Coroner's Court in London. A coroner formally opened an inquest Thursday into the death of Litvinenko, who was poisoned with a radioactive substance.